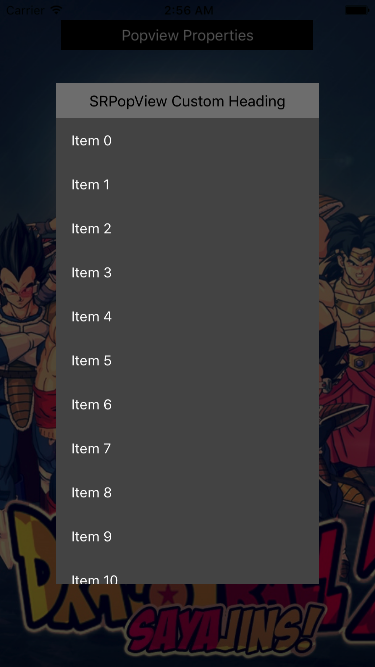 Drag and drop the SRPopView Folder into your project and thats it. Your good to go. 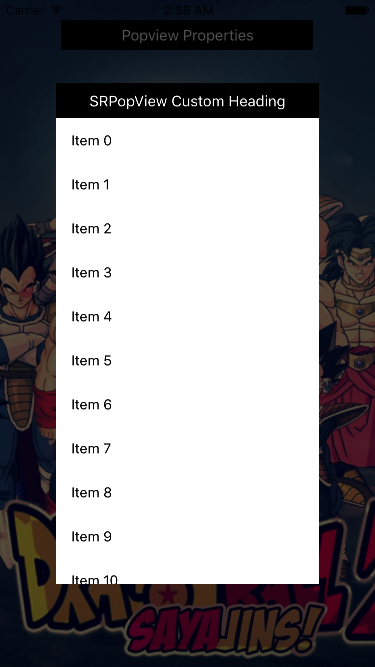 SRPopview has a very intelligent auto search feature which when enabled, if the list is too long then it automatically enables its search box, which filters the list of items. 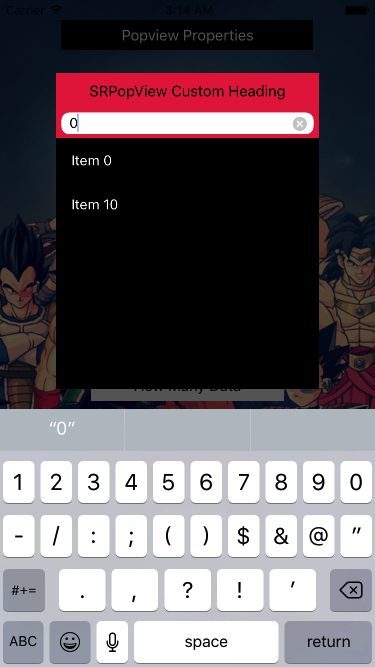 This feature is also takes in context about keyboard. 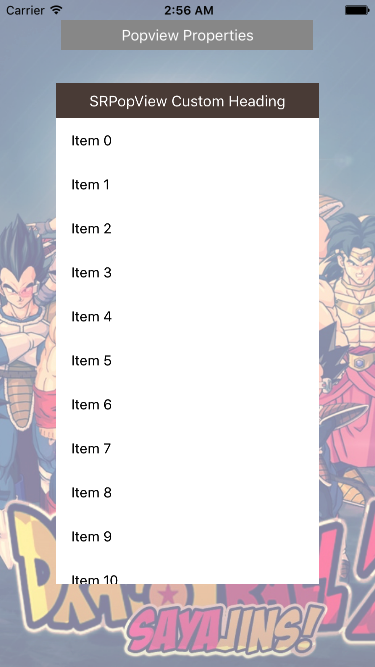 When keyboard is up, SRPopView will show as much of the list as possible. During Keyboard is up Tapping on anywhere will just hide the keyboard. 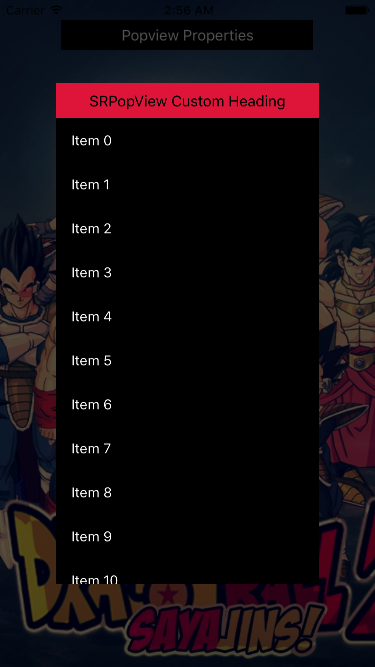 completiobBlock – Fires when user taps on any item, along with the selected Text. Refer to the example project for more customisation. SRPopView is licensed under the MIT License.